Rent Garden of Gods Club and Resort | Corporate Events | Wedding Locations, Event Spaces and Party Venues. 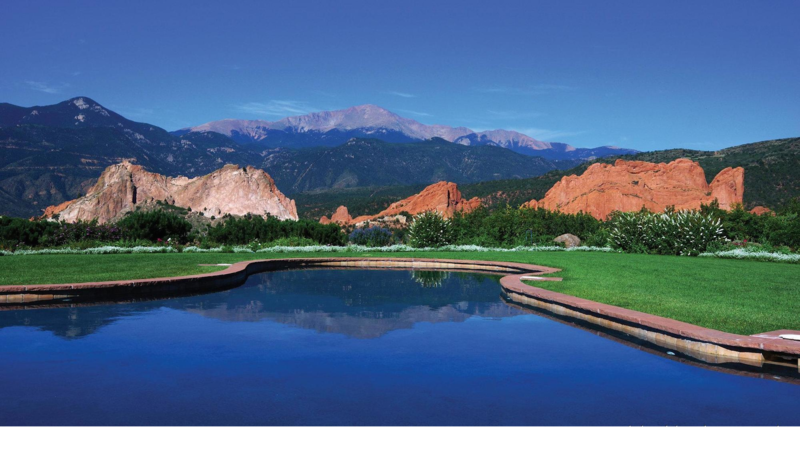 Garden of the Gods Club and Resort is a private country club and luxury golf resort in Colorado Springs. Perched high atop a mesa, the Resort offers stunning views of snow-capped Pikes Peak and the natural red rock formations of the Garden of the Gods National Landmark. From the time you are first introduced as husband and wife, you glide across the floor with a backdrop of the majestic Rocky Mountains and the red rocks of the Garden of the Gods and a lifetime of memories begin. Whether you are planning an intimate ceremony and reception, or a celebration with 250 of your family and friends, we are dedicated to creating a wedding unique to your style while exceeding your expectations of wedding venues in Colorado Springs.